MOUNT GORONGOSA, Mozambique — At Mozambique's Mount Gorongosa — where farmers are being encouraged to grow coffee in the shade of hardwood trees, both to improve their own lot and to restore the forest — there is a point beyond which visitors are told not to go. The problem: Base camps of Mozambique's main opposition force sit on the cloud-shrouded mountain, a redoubt that was the scene of military incursions and civilian flight in the last few years. There were times when managers of the coffee-and-conservation project couldn't go anywhere near the mountain because of the conflict, or had to walk up because the opposition had blocked the road with logs to prevent the military bringing up equipment. With a lull in tension, they are pushing ahead with plans to plant more coffee and trees on a mountain that captures rainfall and supplies the rivers sustaining people and wildlife living around its base. It is among the more complex conservation efforts in southern Africa, a bid to convince farmers to abandon old-slash-and-burn methods of farming and commit to the longer-term yield of coffee on the same plots, while maintaining government support for a project in an area that harbors an opposition militia. The threat of drought and climate change also loom over a project driven by the idea that human development and ecological restoration must work in concert if there is any hope for both to succeed. "We've had huge troubles working here," said Quentin Haarhoff, a veteran farmer of coffee around Africa who doesn't let hard realities sap his optimism. Haarhoff acts for a non-profit group founded by American philanthropist Greg Carr that is collaborating with Mozambique's government to rehabilitate Gorongosa National Park, a rich ecosystem whose animals are recovering after war and poaching. To do that, the thinking goes, the poor people around the park's edges must become stakeholders in their natural heritage rather than remain spectators to the occasional tourist influx, as was the case under the Portuguese colonial rulers who left in 1975. Scientists settled on coffee as an alternative tool in a broader restoration plan for the mountain because the 90 hardwood trees planted for every hectare (2.5 acres) of coffee provide shade that the crop needs to thrive. 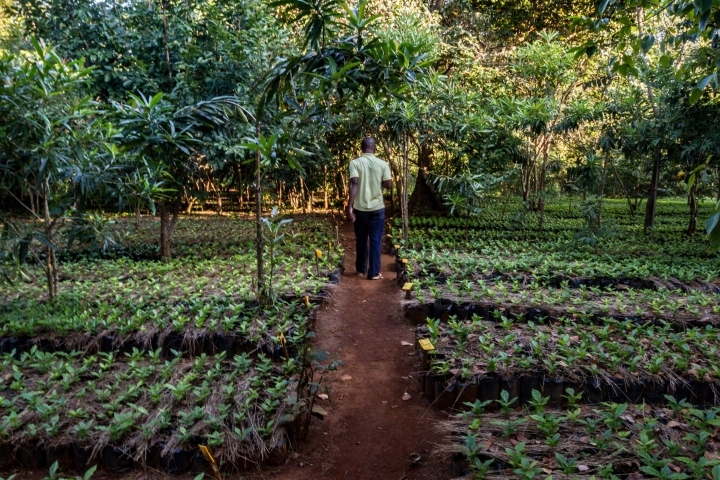 A sustainable mosaic of cultivation and natural forest is envisioned, and farmers are encouraged to cultivate bananas, pineapples and other crops amid coffee plantations, providing fertilizer for the coffee from falling foliage. "The bulk of the nutrition of the coffee plant comes from a very, very shallow layer of soil which we never want to disturb," said Haarhoff, a white farmer from Zimbabwe who lost his coffee plantation during often violent land seizures there nearly two decades ago. "What we're doing essentially here by growing these other crops is restoring the natural hydrology of the soil here. It's turning into a sponge," he said. "Now things are easier and calmer. 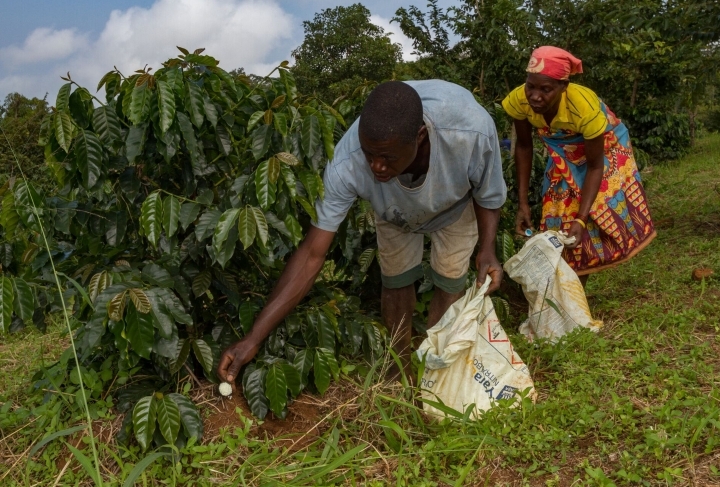 We can cultivate," said Randinho Faduco, a coffee farmer who is benefiting from a truce between the Renamo (the Portuguese acronym for Mozambican National Resistance) opposition group and the ruling Frelimo (Mozambique Liberation Front) party. A post-colonial civil war between the two adversaries killed up to one million people and ended in 1992, though disputes over power flared into violence as recently as 2016. 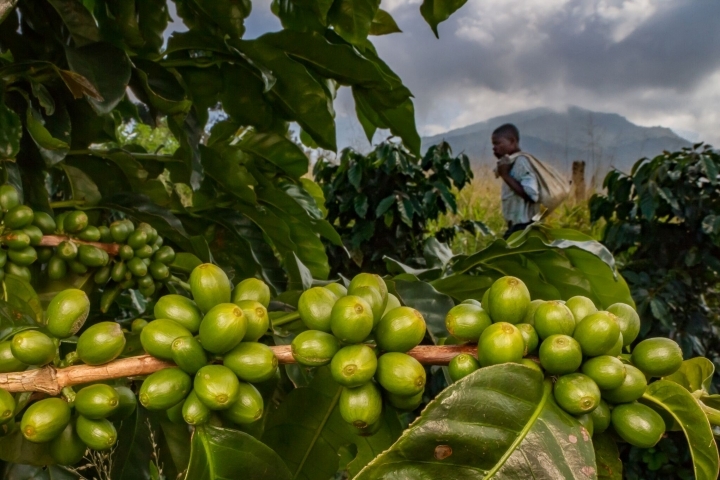 Designed to help hundreds of families on and around Mount Gorongosa, the coffee project is supported by Carr's foundation, the Norwegian government and the Global Environment Facility, a group of 183 countries, international institutions and other entities. The annual budget is expected to expand to between $1 million and $2 million. The rainforest of Mount Gorongosa, whose highest peak is 1,863 meters (6,112 feet), is home to pygmy chameleons and other rare species. The mountain, a source of traditional creation stories, is under severe pressure from the rampant, corruption-fueled deforestation across Mozambique that supplies a foreign market, primarily China. Scientists estimate that it has lost about 40 percent of its original forest since 1970, though they are designing a reforestation program that respects open grasslands found naturally in the area and that contain plant species such as the protea shrub, with its distinctive large flower. Mozambique isn't a coffee producer on a par with African industry giants such as Ethiopia and Uganda, and production goals at Gorongosa are relatively modest. About 40 hectares (100 acres) of arabica coffee plants are in the ground; farmers plan to plant another 100 hectares (250 acres) this year and a total of about 1,000 hectares (2,470 acres) over the next decade, all in areas that are being farmed or were farmed in the past. The first harvest comes four years after planting, and each hectare yields 2 to 3 tons of coffee beans. Coffee experts from Brazil, the world's biggest producer, have traveled to Gorongosa to offer their insights. Machinery from Colombia, another top producer, is installed near the mountain to transform freshly picked red coffee berries into green beans prior to export. It would be better to put the equipment closer to the coffee fields, but another eruption of political violence could force operators to abandon it in a hurry. Gorongosa coffee is already on sale at the gift shop at the wildlife park's Chitengo lodge. One possible market is Portugal, where the Gorongosa name enjoys colonial-era mystique. Portugal's Sonae business group welcomes the idea of environmental sustainability and is looking to introduce Gorongosa coffee as a "premium brand," said group chairman Paulo Azevedo, who was struck by Mount Gorongosa's natural beauty during a trip there. "It really sort of takes you away from our current modern civilization," Azevedo said. There is a sense of urgency about plans to restore rainforest on the mountain, where deforestation continues. "It poses a serious threat to the system as a whole and to specific species in particular," said Marc Stalmans, science director at Gorongosa National Park. "We can't be unconcerned."